Remember, George: no man is a failure who has friends. 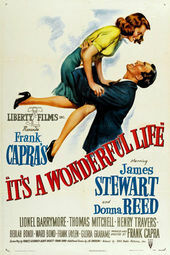 In the opening title sequence to the Frank Capra film It's A Wonderful Life, the viewer is thrown into the soft embrace of immediate nostalgia. As an invisible hand flips through a beautifully illustrated and hand-lettered Christmas keepsake complete with glitter and sequins, the upbeat and honeyed score by Dimitri Tiomkin sets the pace. 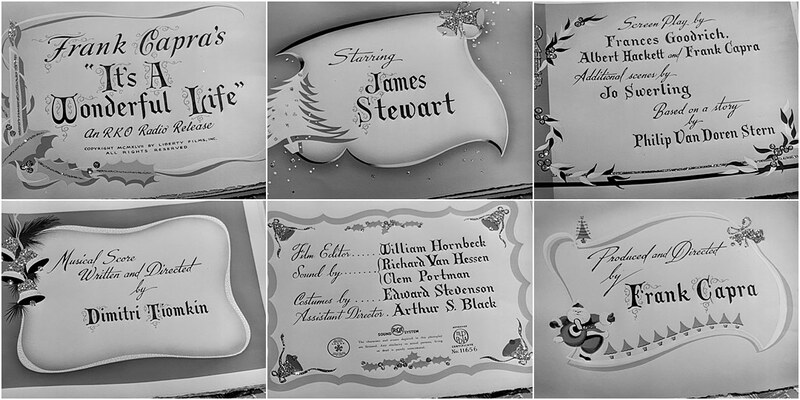 So enchanting was this opening that the film Lady in the Lake, released one year later in 1947, used the same technique for its title sequence – credits nestled into a Christmas book. In fact, it was so similar that when film historian James Ursini first saw Lady in the Lake, he wondered, "Is this a Capra movie?" The difference is that the Christmas book in It's a Wonderful Life's opening really is full of wonder and good cheer, whereas the one in Lady in the Lake takes a much darker route.